A perfectly simple, freaking delicious, healthy breakfast! This breakfast has honestly rocked my world. 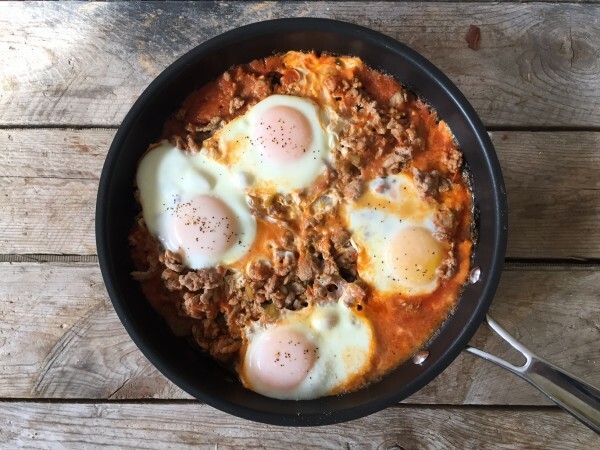 I cannot wait to make it again, and I will for sure be making this the next time I'm in charge of making breakfast for a large group, just because it's that easy, tasty, and healthy! The first time I had it, my friend Kendall, who is a super mom/hostess with the mostest (like her own mom) made this phenomenal breakfast for about 12 of us one morning. When she served it up looking so tasty, I had thought that she had "slaved" over this fancy skillet breakfast all morning before we had all woken up, but she didn't! She whipped this perfectly lean dish up so quickly… I only learned this after I had asked for the recipe and tried it myself. And speaking of recipes… there is only 3 ingredients to this breakfast: Foster Farms Organic Turkey, Salsa, and Eggs. Super healthy, and the ground turkey and salsa together make it so juicy with flavor! 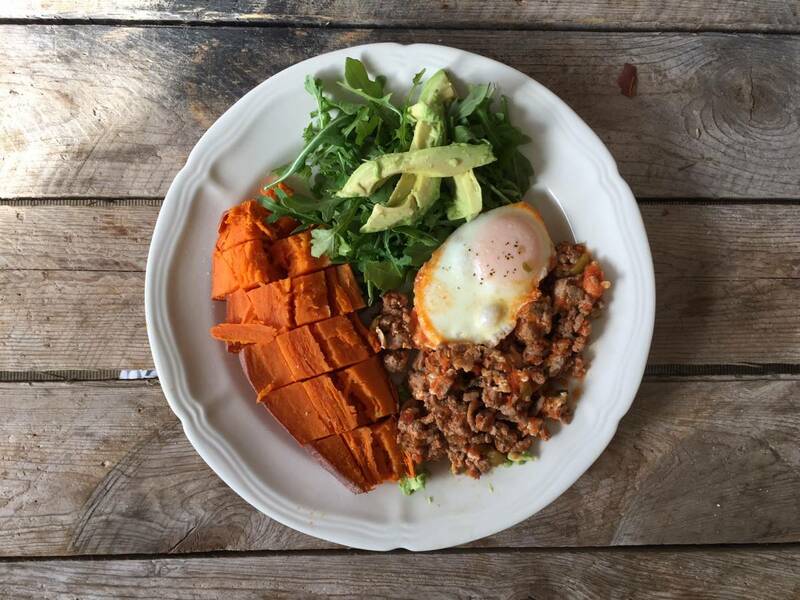 This was a must share, as many of my clients are looking for quick and healthy breakfast options that they can make for themselves or for their whole family— and if my clients are looking for recipes like that, than I know you are too! I love that this breakfast is high in protein, gluten free, grain free, and guilt free! And there is so much you can do with it once you cook it up, from breakfast bowls, to a nice big spread, or maybe even an open faced breakfast burrito! 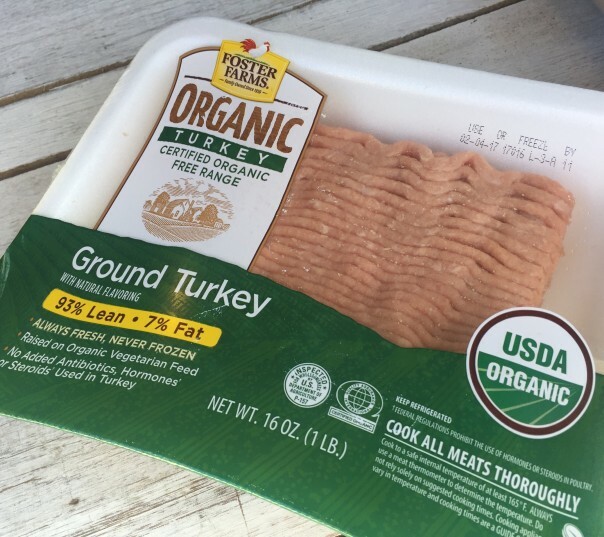 A lot of my clients are also asking me for more and more Ground Turkey recipes lately, so of course I delivered by partnering up with Foster Farms Organic Ground Turkey! Their Ground turkey is 100% natural with no added hormones or steroids, the turkey is raised free-range in organic land and fed an organic vegetarian diet, grown in California's Central Valley! You are what you eat, so it matters! 😉 Amen to the fact that you can have breakfast for lunch and dinner too! You're gonna like it! Enjoy!! Add Foster Farms Organic Ground Turkey to skillet and brown. Crack in eggs and cover the skillet until eggs look done to your liking. It takes about 7-9 minutes. I personally like my eggs a little runny. Serve with a Sweet Potato, a side of greens, and avocado. You can serve onto a plate as pictured, or build a breakfast bowl. This is an excellent breakfast for just one person (just brown the amount of turkey that fits your serving size) or a whole group of people! It is sure to be a hit for everyone!